Purple Martins love pine needles. They dry out quicker than wood shavings. 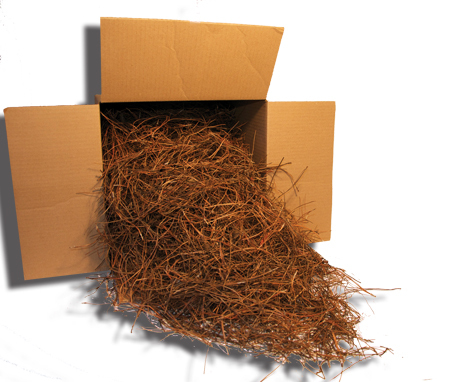 We are pleased to be able to provide you with quality Pine needles, a non-treated dried Pine Straw. On average you use two handfuls per Troyer Gourd and three - four handfuls for SuperGourds. Sprinkle some straw on the ground and watch your martins help themselves. White Pine needles from PA.